I am indebted to Scott Hayden (@bcotmedia) for much of the content of this assembly, which was inspired by his lecture on procrastination and motivation which you can view here. 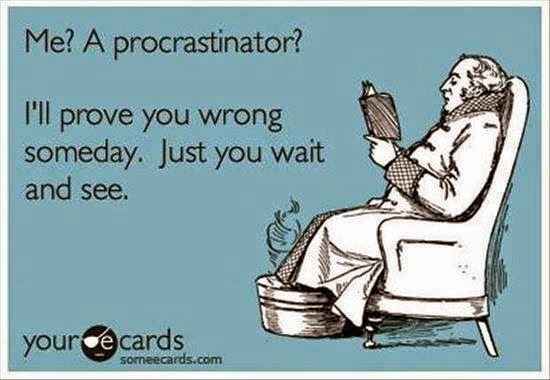 We all do it.When faced with a pile of marking and planning to do, I will procrastinate as much as anyone. My main enemy is my phone. “I’ll just check twitter…and pinterest…and YouTube…and see if anything’s happened on twitter while I was on pinterest and YouTube…” It’s getting later, the work still needs to be done, and we know this, so why do we do it? If we don’t try hard, we can blame our failure on that. Classic fixed mindset thinking. Some people put off the effort in self-defence. 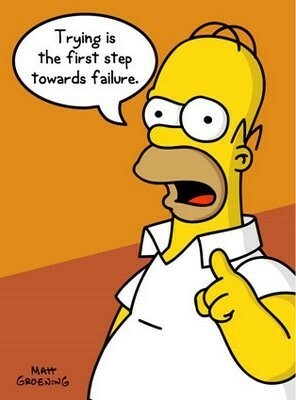 Like Homer Simpson, if they don’t try too hard then they have something to blame when they don’t do well. If we’re honest with ourselves, we know that this is self-defeating. But even if we want to work hard and do well, we can still find ourselves avoiding work… so why? It’s an internal battle between two parts of our brain. Our pre-frontal cortex is sensible, and in charge of our long terms aims – “I want a good set of GCSE grades so I can get a well-paid job and live a happy and fulfilled life.” Buried deep within our brain is the limbic system, a primitive, primal part of our brain that is in charge of our desires and craves immediate satisfaction right now – “I want to shoot stuff on the XBox.” When faced with a big chocolate bar, our pre-frontal cortex might be warning us that it’s unhealthy, full of sugar, very fattening, and will ruin that diet we’ve been on, whilst our limbic system is saying “chocolate! Yummy chocolate! Get in my mouth now!” Which will win? In order to control our impulse to procrastinate, we need to understand it. One of the issues is that our limbic system is only concerned with the here-and-now, and it cannot conceive of a future version of ourselves that might regret the consequences of our present actions. This is called “temporal discounting” or “present bias,” and is illustrated by this simple experiment. Which would you rather have – £100 now, or £110 later? If I offered you £100 in cash now, or £110 one month from now, most people would take the £100 right now. A month seems an awfully long time to wait for an extra £10. However, if I offered you £100 twelve months from now, or £110 in thirteen months time, most people are prepared to wait the extra month because they are both so distant from our present selves. The sums of money and gap in time are the same, but in the second example our pre-frontal cortex is dealing with both choices as they involve our future selves. 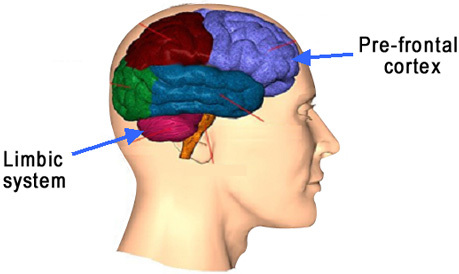 In the first example the limbic system sees the immediate benefit and overpowers the logic of long-term gain. So, in order to beat the temptations of procrastination we need to trick our brains and, more importantly, our limbic systems, to give ourselves a fighting chance of getting our stuff done. Here are a few tips and tricks to help you! Give the power cable from your XBox to your parents and tell them not to give it you back until you have achieved your work goal. Put your phone in another room. Whatever is tempting you away from what you should be doing – either remove it, or remove yourself from it. The same goes for the classroom! If you know someone is going to take your mind off what you should be doing, don’t sit with them. Trick your brain away from seeing the task as a horrible burden. Don’t let yourself think “only another fifteen minutes of this hell to go!” Instead, say “this is great – I’m getting this done! I’m really pleased with this. Look at what I’ve achieved.” Your limbic system is craving positive happy feelings. If you can generate those from the task itself, it’ll be satisfied and give up trying to tempt you away! Straight away. Don’t even give yourself a chance to hesitate. Pick your pen up and begin. Before you know it you’ll be done. The work is there for your benefit. Your brain will grow. You will learn. You will improve. And then you will get all the reward that you deserve.